Manage your fantasy football draft no matter where you are. 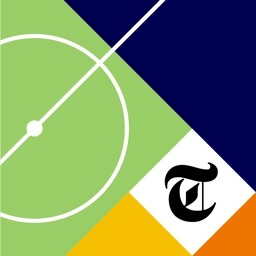 Are you someone that needs to manage a draft for your fantasy football league on your iPhone or iPad? Then Draft Manager is the solution for you. 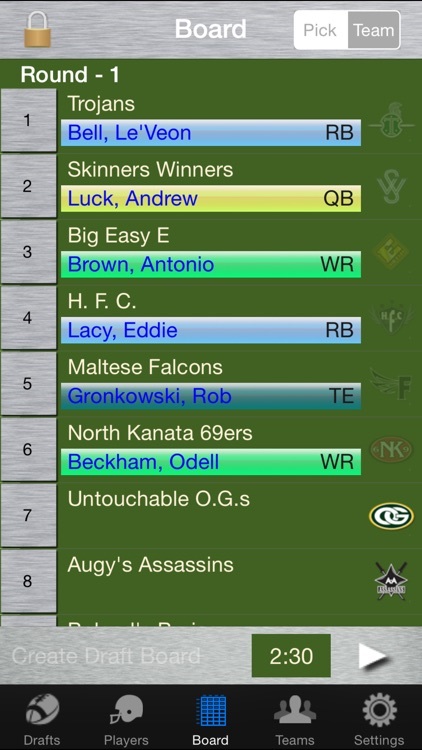 Draft Manager is a stand-alone iPhone and iPad application that allows you to manage your fantasy football draft either realtime or turn-based. 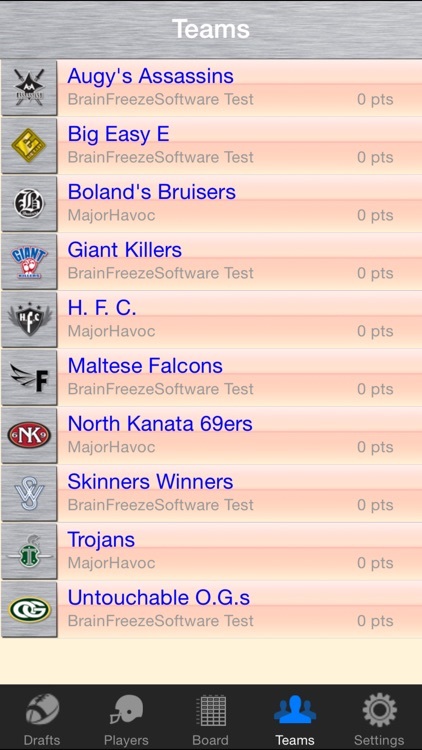 Draft Manager is a clean and simple solution for managing your fantasy football draft using the familiar draft board interface. 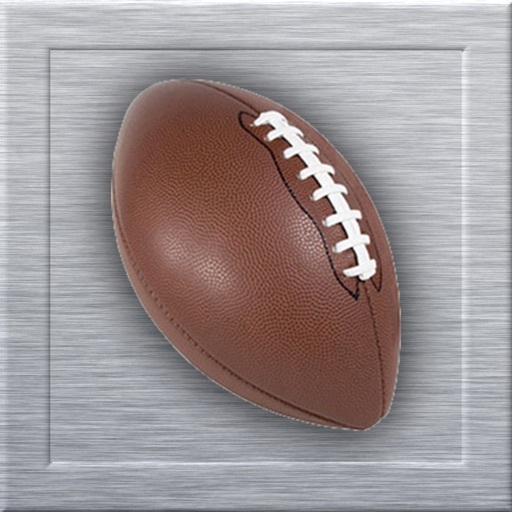 Draft Manager has the flexibility to offer multiple ways of randomizing your draft board, and includes support for "keepers" from last year's fantasy football season. Did you use a cardboard draft board to run your fantasy football draft last year? I know we did in one of my drafts. 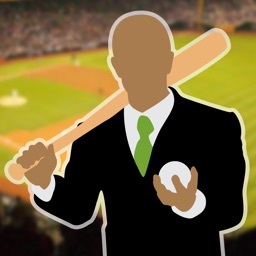 Well Draft Manager takes the evolutionary step of presenting the familiar draft board on your TV or projector. You can use any AirPlay device (Apple TV, computer with AirPlay software, etc) or a video cable that you plug into your iPhone or iPad. 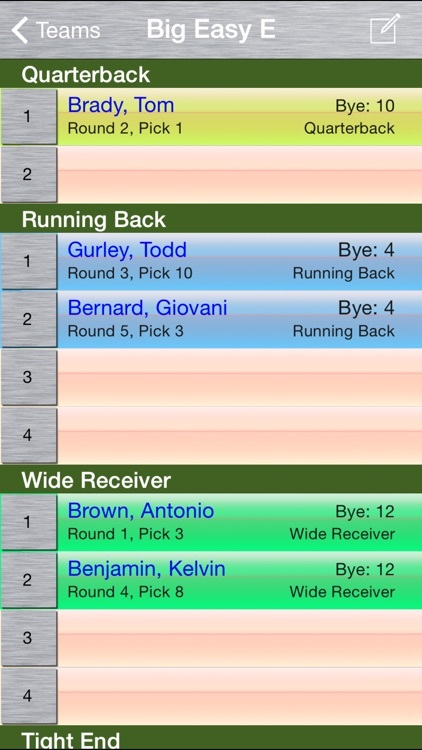 The draft board is not a mirroring of the app interface, but its own view that even works with your iPhone. With Draft Manager you have the ability to setup your fantasy football draft to include any type of position, including defensive players, and flex positions. You also have the ability to randomize the draft order as all random, serpentine, a combination of both, based on a first round you setup, and you can even edit the results to handle pick trades. After the draft board is generated you have the ability setup any "keepers" you have from last season. 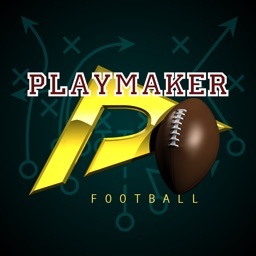 Because Draft Manager can utilize Game Center's turn-based system you can run your fantasy football draft all together in a single room, remotely, or even over the course of a week to fit into everyone's schedule. 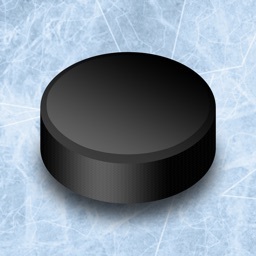 Game Center is not required if you run your entire draft from a single device. Draft Manager also provides you the ability to draft multiple teams from the same device, which allows you to have multiple remote locations running off a single device per location. 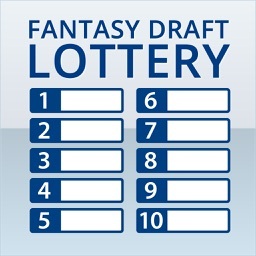 Please visit us at www.draftmanagerapp.com for additional product information, videos, and instructions.